It's now 10th of November and that means Skyrim will be out tomorrow! I decided to go for a Xbox version instead of computer first, let's see if it's worth getting for PC later on when mods come out. Before this I'll prefer sofa. There's been a rumor that US West Coast Citizen would get chance to buy Skyrim today already. Wait will be over soon. I'll be spending quite much time on weekend with it. So let's share my final thoughts before the release and final pre-release videos that have leaked out. As for info IGN.com is hosting Skyrim Live today, 10th of November at 12-4 PM Pacific time, hosted by GN Executive Editor Charles Onyett and guests. Read the article here. Well firstly, my expectations haven't totally shot through the roof, surely the hype has once again been too huge. But - I feel like it's going to be a great game and will have much replay value once again. Elder Scrolls games with their open ended game world have been great at offering different paths to follow, choices to make and even new things to discover on second and even third playthrough. And that's basically my fascination towards these series. Elder Scrolls have turned towards more "modern RPG", although I kinda hate that term, I'd rather describe them as "Action-RPG". That's because the franchise has certain focus on action but hasn't also forgotten RPG elements, like dynamic dialogue, story, questing, adventuring as who you wanna be and play as you want. Not to forget the character system behind your character: the skills and perks to choose and raise up. The so called "play any character any way you like" is matter of preferation really. If you're looking for an old style RPG with class restrictions, making certain types of classes to stand out to be good on their own right and so forth making the "role-playing" more interesting, then Skyrim might not be for you. Old school Role-Playing games often make you choose your class accurately from the very beginning and then you to stick with the role whole game. 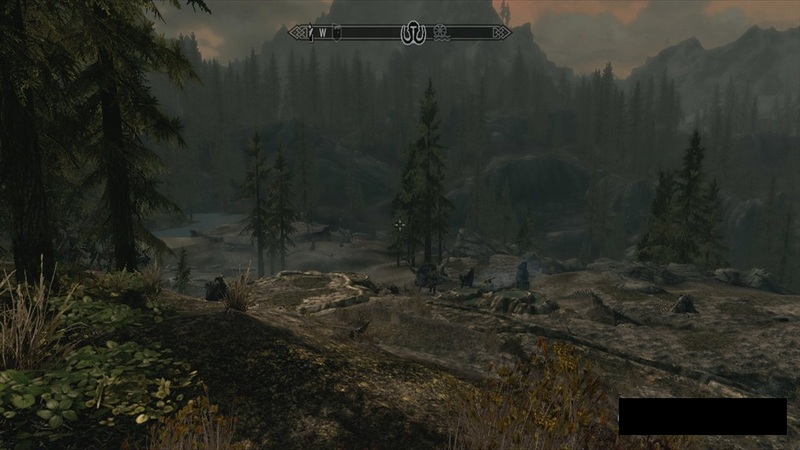 Skyrim will basically have zero restrictions on your character skills after the creation. The only thing you really pick is the looks and race (which has affection on racial skill bonuses) but that's it. You'll then raise skills by doing things, which allows you to raise any skill you want. While it allows certain freedom, it also makes planning character classes quite worthless, but then again allows you to experience and do what ever you feel like doing at certain moment. You can more like "go with the flow". So it's really matter of taste whether you like highly class restricted character system or play any character how you like without restrictions as in Skyrim. Along the a-lot-to-do and discover, I like the fact that they've now added some interesting skills to Skyrim like smithing and mining. That gives a whole new aspect for a ways to set up your gear. That combined to enchanting will make things interesting while experimenting with crafted weapons and armor. 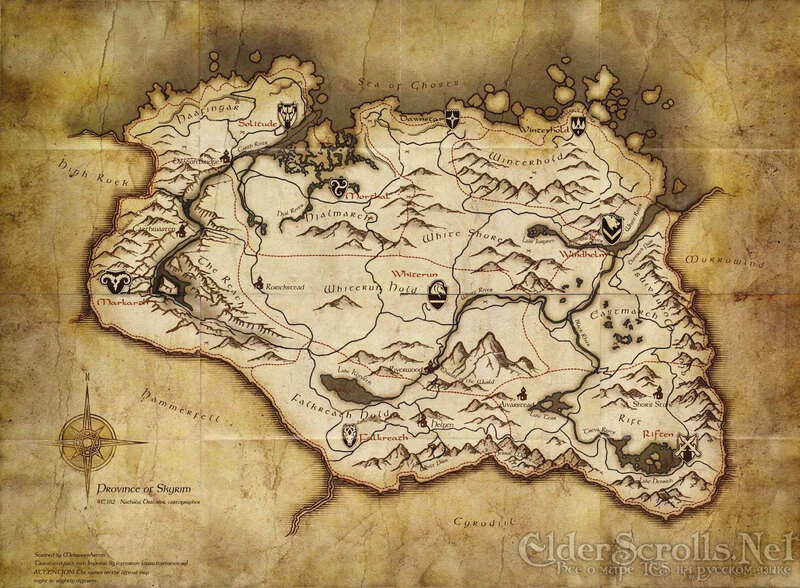 The setting of Skyrim seems bit more appealing than Cyrodiil on Oblivion to me. Frozen mountains, icy mines, barren tundra, forest and swamp just makes up a good theme I think. You can see well detailed map on the right - that's a lot of mountainous pathways and roads! Cool. Oh, and not forgetting music. Music can make quite a difference in game it it's great. In my opinion it's one of the unique things that can create certain atmosphere to game - one of the things that stick to your mind after the day. For what I've heard, Jeremy Soule has quite topped himself compared to Oblivion soundtrack. Perks which are influenced by Fallout series are also in Skyrim, which I think is nice addition to reward some level-ups more various ways. Hope Bethesda made up some fun and interesting ones too. What leaves something bit.. not-so-impressed in my opinion - but doesn't really bother me much - is upgrades on graphics. Landscapes to be more accurate. The Oblivion's engine was rewritten in most parts, but to me it still looks bit too much Oblivion'ish. 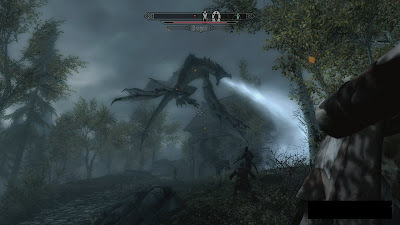 There's certainly improvement and things like characters for example are way better looking but Skyrim still won't be probably best looking game to come out 2011. But after all, who cares. I have high expectations for the actual game content. The way I'll propably be playing the game will be adventuring randomly and doing side-quests I find interesting at first. Thief like character appeals me, so be ready to lock your doors. I don't want to finish the main quest and game too early! This story should take at least almost forever! My "wild guess" of how this game will rate in my books is 90/100, and tomorrow I'll know better what direction that score will turn into - 24 hours into losing ones social life for quite some time..